"Tuesday, October 1, 2013 (10:00 - 10:45), Tower Grove Park, St. Louis, MO," by M. Shawn Cornell. What: Mini plein air painting workshop with M. Shawn Cornell. Where: Mayflower Gulch, between Copper Mountain and Fremont Pass in Summit County. When: 10 a.m. June 30. More information: Contact Karen Kalfas or the Vail Valley Art Guild to register and receive more information at Karenkal54@gmail.com, or visit www.vailvalleyartguild.com. Hear the artist speak: Shawn Cornell will also lead a free discussion at the Vail Library on June 29 from 2:30 to 5 p.m. For more on the artist, visit www.mshawncornellstudio.com. Simple stories. That’s how Shawn Cornell describes his plein air paintings. His artist statement doesn’t wax poetic as so many do. Cornell, a St. Louis-based artist, will be in Vail on June 29 and 30. On the 29, he’ll give a free discussion at the Vail Public Library. On the 30, he’ll lead a plein air workshop beginning at 10 a.m. at Mayflower Gulch. The workshop is the first sponsored by the new Vail Valley Art Guild, which started in November of 2013. The groups first meeting took place in December and 12 artists showed up. The cost for the workshop is $65; a maximum of 12 people can take part in the workshop. 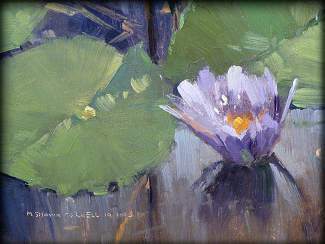 “The fact that Shawn has so graciously accepted taking a day to paint with Vail Valley Art Guild, and spend an evening talking about his craft is another facet of this artist’s courteous and considerate personality, as he has waived all fees to himself, but instead offered any money collected to help grow our new, fledgling art guild,” Kalfas said. For Cornell, it’s Officer’s Gulch near Copper Mountain that’s a must-paint destination when he’s in Colorado. While he’s done a few paintings in Eagle County, most of them were during the Vail Art Festival to entertain the fairgoers, he said. Cornell uses a very limited color palette — titanium white, ultramarine blue, cadmium red and cadmium yellow — to paint his strictly plein air pieces. Generally Cornell leads three-day workshops, so the June 30 event will be an “abbreviated version,” he said.